Each year, students cram into lecture halls to take classes that won’t get them any closer to a college degree — shelling out $1.5 billion to learn concepts they should’ve mastered in high school. One in four college freshmen who enroll in college directly after high school enroll in remedial classes. Remedial students who begin at four-year collegs are about 75 percent more likely to drop out of college — an issue both K-12 and higher education policy experts have been grappling with for years. Much of that research has focused on lower-income minority students who attend community colleges. But a report released Wednesday shows this student population is far from the full picture, pointing to an “expansive failure” of American K-12 schools in preparing all students for college. Students from all socioeconomic backgrounds are left footing the bill, which includes a sizable $380 million in student loan debt, according to the report from the Washington, D.C.-based think tank Education Reform Now, an affiliate of the advocacy group Democrats for Education Reform. The report was commissioned by the education reform advocacy publication Education Post. Democratic presidential candidate Bernie Sanders has made his promise of free higher education a staple in his bid for the White House while lawmakers on Capitol Hill have been working to address America’s ballooning student loan debt. 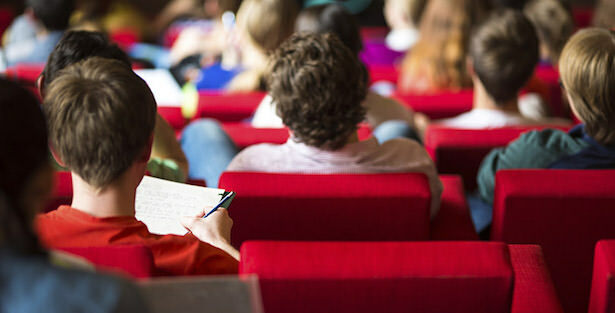 While 57 percent of students enrolled in remedial classes attend public community colleges, 43 percent attend a range of other institutions — four-year public or private colleges, two-year private programs and both for-profit and nonprofit schools.Additionally, almost half of the students who enroll in remedial courses come from middle- and upper-income families. The report, which based its findings on 2011-12 U.S. Department of Education data from the National Postsecondary Student Aid and the Beginning Postsecondary Student surveys, is a call for states to address “academic underpreparation” at high schools that serve all income groups, said Michael Dannenberg, also a co-author and Education Reform Now’s director of strategic initiatives for policies. Wealthy students who enroll in remedial courses at private, nonprofit four-year universities take more remedial classes than low-income students. That trend, Dannenberg said, likely points to private colleges’ interest in driving enrollment numbers and tuition dollars. While freshmen pay $3,000 on average for remedial coursework in their first year of college, students who attend private, nonprofit four-year institutions pay an extra $12,000. The report also made mention of the more rigorous Common Core State Standards, which both Education Post and Education Reform Now support, and the opt-out movement that has largely been dominated by affluent white students. Nguyen Barry said the movement to sit out standardized testing illustrates a “disconnect” between perceptions of high school quality and the reality of college preparation. This story was published in partnership with The74million.org.